Follow: Israel - For Such A Time As This. As times and seasons are changing, the uproar of the Middle East is becoming more and more tangibly on a daily basis. Watching the media's increasing bias and the rising anti-semitism of the general public against Israel and its people, the very generation that might see the Lord return, finds itself caught up in controversy around God's chosen people. In less than 2 weeks an international group of teenagers and young adults from USA, over Germany, to South Africa and Japan (and more) will be joined by a flim crew to shoot a documentary in Israel in order to address this exact controversy. 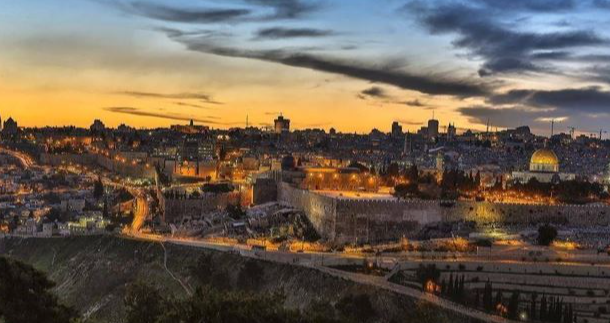 The vision is to impact the emerging generation with their Biblical mandate for Israel, to combat the anti-Semitic bias of the media and to bring greater understanding of Arab and Israeli in the region. These young adults will be recorded as they are exposed to the ongoing conflict, meet Palestinians and Israelis, talk to politicians on both sides and reflect what they have seen and learned. I want to invite you to partner with me in sponsoring one young adult to go on this 3 week long journey of discovery and truth to be an advocat of this small but resilient country, who fights for their destiny in Jesus and will be a messenger within their generation. Israel Documentary - For Such a Time as This. from Generation 2 generation on Vimeo.